BOYBAND ONE DIRECTION have insisted that they will not be splitting up despite the departure of band member Zayn Malik. Niall Horan, Liam Payne, Harry Styles and Louis Tomlinson played their first British concert as a foursome on Friday night in Cardiff. 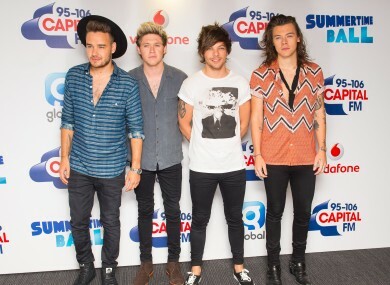 Payne responded to rumours of a split before they performed on Saturday at London’s Wembley Stadium. We have just started the process for recording the new album, we’ve got a whole new tour going on, there are some really good songs so I don’t think we are going anywhere for a while. Email “One Direction insist that they're not splitting up ”. Feedback on “One Direction insist that they're not splitting up ”.